Simple, yet very pretty pink beaded bracelet with rhinestone spacers. 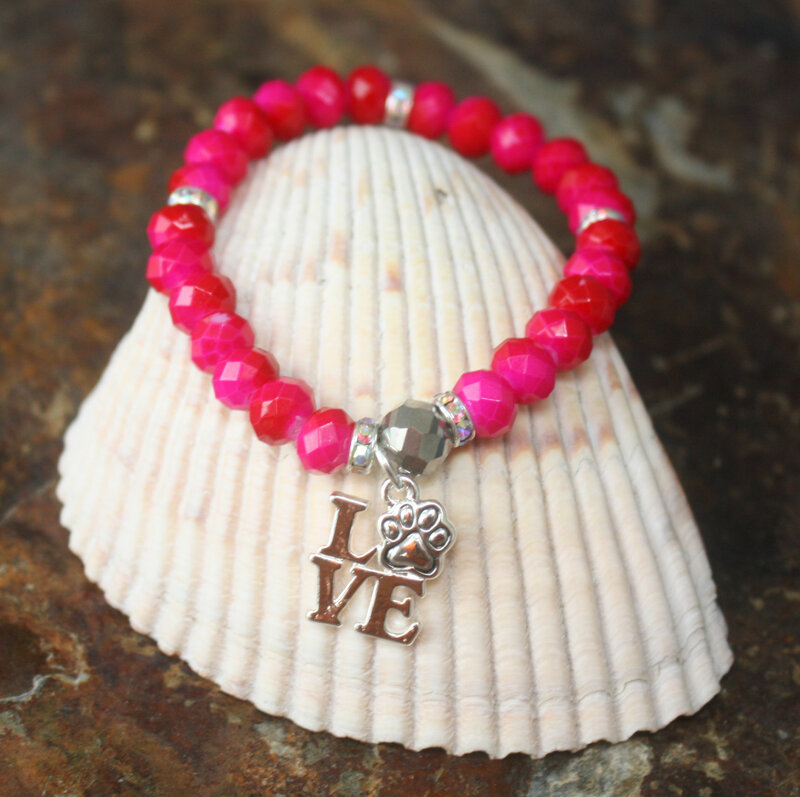 A charm of the famous love stamp with a paw in it lets you show your love for your dog. 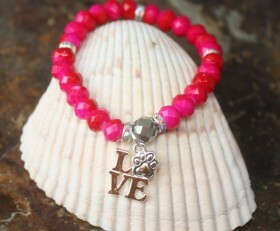 Categories: Animals, Beaded Bracelets, Dog Ankle Bracelets, Dog Lovers Jewelry.